Bowel diseases are numerous and unpleasant. 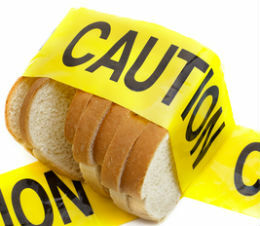 Among them, celiac disease is perhaps one of the strangest and least understood. The condition is believed to stem from an abnormal reaction of the small intestines to gluten proteins, which triggers a sort of self-destructive immune response within the upper bowels. Fortunately, there is a growing body of scientific research which supports the use of beneficial probiotics and eating gluten-free foods, as part of your Celiac Disease diet, can help alleviate those uncomfortable symptoms. When gluten proteins become entangled in the intestinal villi of a person with celiac disease, their body’s defense mechanism mistakenly attacks the gluten AND the villi. This interrupts the absorption of vitamins and minerals and can ignite a range of painful side effects. Typical symptoms of celiac disease include abdominal pain due to gas and bloating, constipation and diarrhea, nausea, and vomiting. These can be periodic or constant depending on the individual.